Many thanks for the response to the last posts about my framed photos. Just a quick update- I have just framed up a further selection of work, this time some of which are in colour and I have delivered these images to retail outlets here in Teesdale where they are now on sale. These framed photographs are now available with others in the range at Clarendon’s in Barnard Castle or at Eggleston Hall Gardens Cafe. There are also more framed copies of the most popular print- The Line Up. It may be the biggest print of the current series at nearly 90cm but it seems to have really caught the eye of the buying public. 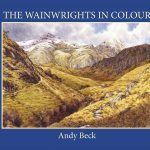 In the meantime, it’s back to work for me, trying to get the Wainwright’s in Colour Book completed after yet another personal setback. More news soon, to get the updates directly then just subscribe to the website using the form on the right of this page.